10 months ago I embarked on a journey towards understanding what it looks like to have JOY in my life. At the beginning of each year I chose a word to research, understand, know, apply to my life, and read about as much as I can... this years word was JOY. Embracing joy has led me towards being more and more intentional... embracing where I am, who I am, and the circumstances that I am in... where joy graciously intertwines in my life. Here are a few things that I have learned knowing that my understanding and comprehension of joy is far from over. 1. 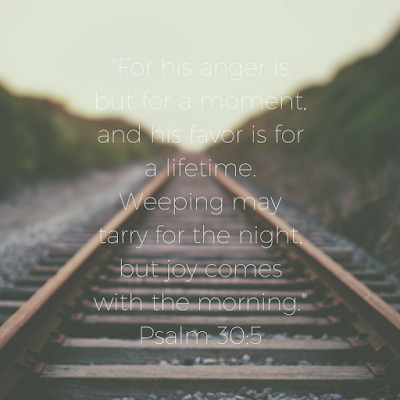 "Mourning is a river that carries us to JOY." (quote from Margaret Feinberg's Fight back with Joy) This book has likely been my favorite book so far on the topic of how to practically "do joy". (I highly recommend this book). One of the first things that I have discovered is from mourning (sadness, grief, frustration) we are carried towards JOY. In Fight Back with Joy the author describes mourning like a river, "the rushing waters flushes the debris". This statement could not be more true. We need to create a space that allows us to grieve in a healthy way so that we can fully grasp the way that it can heal our hearts and souls. Though there is bound to be hard time, none of us are immune to hardship, but there is always a time in which that hurt will end & joy will come. We must embrace the process of mourning in order to grasp the fullness of joy. 2. Joy is an action. And we are called to it. We must trust that God can take the hardest and harshest tragedies and make them into something amazing. In the moment that we actually do this, we are recognizing that God is going to do something amazing out of the hard, sad, lonely, frustrating. The key to making joy and action is understanding the source of our joy. Having joy in all our circumstances is simple when we are able to see that the Lord is the source of our joy. Even if we cannot find reason to rejoice in our circumstances, we can rejoice in the fact that we have Jesus... that is reason to rejoice because He never leaves us or forsakes us, therefore we have something to rejoice over. 3. Joy is a manifestation of my faith. This idea ties directly into joy being an action. When we look at the fruit of the spirit we notice a list. A long list of things that are to be established in our lives, but we do not get pick which ones we want and which ones we don't want to have in our lives. Some of these biblical traits may come easier to us then others, but we are to manifest each of them in our lives. One of those traits is JOY! We all have hard days, but we need to mark our days with the basic characteristic of joy. The deeper I get with Jesus, the more joy (and the rest of the fruit of the spirit) manifests itself in my life. I can still endure hard times, but I can mark those times as joy because from that God will grow me deeply. 3. It is easiest to see joy in a desert. God can grow us deeply right where we are, in the very circumstances that are present in our lives. Some of the greatest ways to see joy is to pray that the springs that are in those dark, desolate times would break forth, becoming extremely evident. Sometimes I need big flashing signs... with arrows pointing to my blessings... and maybe some loud sirens. Being in my desert places allows those obnoxious signs to be seen much easier. Beg for blessings to flow and to be seen... not missed. Look for it and pray deeply that you are able to discover and see it. Watch for those unexpected springs that God will allow to burst forth in your desert so that you can discover and see the joy that is beautifully blessing you. “Give me a blessing. Since you have set me in the land of the Negeb, give me also springs of water.” And Caleb gave her the upper springs and the lower springs." Judges 1:15 (Essentially what she is saying is give me what I need to survive). 4. Joy comes. It is simple. It will come. It does not seem to get any more simple then that... joy comes. It paints such a beautiful picture of endurance, patience, waiting, yielding, producing, practicing... the list goes on. The most precious thing about joy is that it comes. I love the title of Margaret Feinberg's book, Fight Back with Joy for a lot of reasons, but one of those reasons is that is describes the choice that we have with joy. We get the opportunity to chose it daily and to fight for it. Philippians 4:8 (one of my most favorite verses) says, " Whatever is true, whatever is honorable, whatever is just whatever is pure, whatever is lovely, whatever is commendable, if there is any excellence, if there is anything worthy of praise, think about these things." This is our call to stop and meditate, drawing our attention to Jesus is the source of our joy. Don't waste your life simply thinking you are lacking joy... look for those big, flashy signs. They are there. Chose them. Chose to find joy at its source. Can you see the joy that God has placed in your life?